Anthony Yacco is an Associate Coach for the National Pitching Association (NPA). He has been working closely with one of his most valuable mentors Tom House, co-founder of the NPA, for just shy of 20 years. Anthony trains both professional athletes as well as dedicated individuals that strive to play at collegiate and professional levels, having just under 20 years of experience in this field. Anthony specializes in biomechanics and human performance for rotational athletes extending across multiple sports including football, baseball,softball, lacrosse, hockey and golf. The foundation of the program is scientifically defendable, emphasizing arm care, injury prevention, biomechanics, nutrition, and mental emotional awareness. 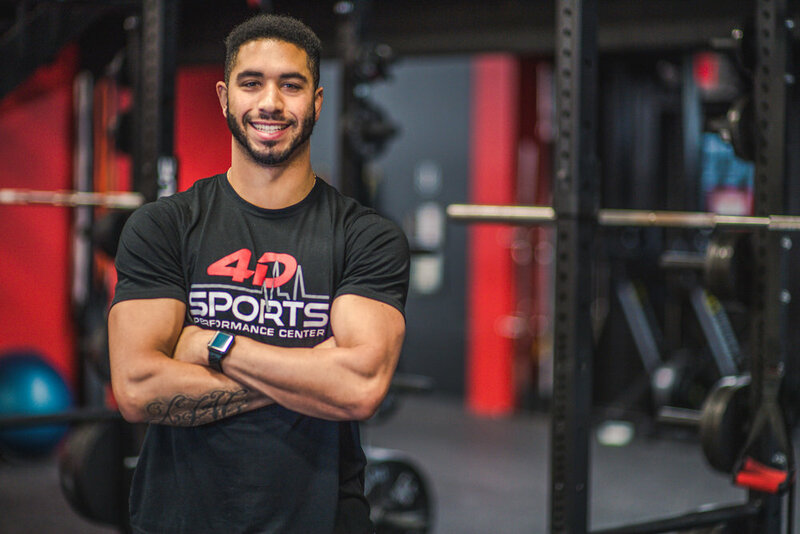 Anthony creates individualized programs for all of his athletes by focusing on the interrelationship between biomechanics and kinesiology along with mental and emotional awareness, strength and conditioning. As a former professional athlete, Anthony has the unique ability to get fast results and teach the foundation to retaining those results throughout ones career. In 1999 Anthony was the San Francisco Giants 10th round draft pick out of high school, and since then has done nothing but play ball and train athletes aspiring to reach the next level. Willie Gabay received a division one baseball scholarship to Austin Peay State University in Clarksville, TN. He later transferred to Herkimer County Community College in NY. Willie set the strike out record while pitching for Herkimer where he was the MVP. In 2012 Willie was drafted in the 15th round by the Tampa Bay Rays. He played professional baseball for both the Tampa Bay Rays and most recently the New York Yankees organization. Willie has multiple years of experience both coaching and training baseball players as well as other athletes extending across multiple sports. He respects proven science based training methods, heavily relying on the teachings of Tom House with whom Willie has worked with on numerous occasions. Willie fully comprehends biomechanics and how they dictate human movement as a whole, thus asserting this knowledge upon all of his clients from youth athletes to professional athletes. Willie is a dedicated athlete himself. His level of dedication allows him to connect on a high level with athletes across the board. Rob has had a major influence on some of the top baseball and softball prospects, coaches and teams from around the country -every level, age, and gender from Youth, Collegiate, Professional and Olympic level, and college teams in the Pac-10, SEC, Big West, C-USA, CAA, MEAC, ACC, and Atlantic Ten conferences. Current and past companies Rob has consulted in the areas of business development and brand strategy are USSSA, SKLZ, Nokona, Sports195, and Hittinguru. Rob has and currently supports a host of different travel organizations ranging in age groups from 9U-18U. In the summer of 2010, Rob Crews served as Assistant/Hitting Coach for the USSSA Pride, the 2010 (NPF) National Pro Fastpitch Champions. Rob has also consulted the Venezuelan National Softball Team and its coaching staff in the areas of hitting, mental focus, and visual strategies for pitch recognition. Facilities and training centers where Rob can be found are 4D Sports (Southern NY), Fastpitch Nation (Conn), A.M.P. (Long Island, NY), and other parts of the country. Rob is the author of the books,COMPLETE GAME (2006) and SWAG 101 (2013), mental skills publications for improving in-game focus and confidence. He also serves as the Fastpitch Training Advisor for SKLZ (Pro Performance Sports). Rob Crews is currently providing support for athletes of all ages, ranging from Pro to youth levels, including teams and leagues. Rob is a staff writer for Fastpitch Softball Magazine. Jack Kensil is a multi-sport performance and speed coach at 4D Sports Performance Center. He played 4 years of Division 1 lacrosse at Marist College as an attackman and was heavily recruited for football by Division 1 colleges across the country coming out of high school. As a football coach, Jack specializes in Wide Receivers, Defensive Backs and kicking specialists, allowing him to exercise his knowledge in all areas of the game. He believes in providing his athletes with full spectrum training: on-field performance, speed and strength training, and classroom style education techniques. Jack has a knack for being personable, relatable, and creating long-lasting relationships with his athletes. This ability comes from his years of work in sports television production at NBC Sports, where he spent much of his time interviewing and meeting with some of the best athletes and coaches in the world, including Olympic medalists, NFL coaches and players, and golf’s highest members of the PGA Tour. 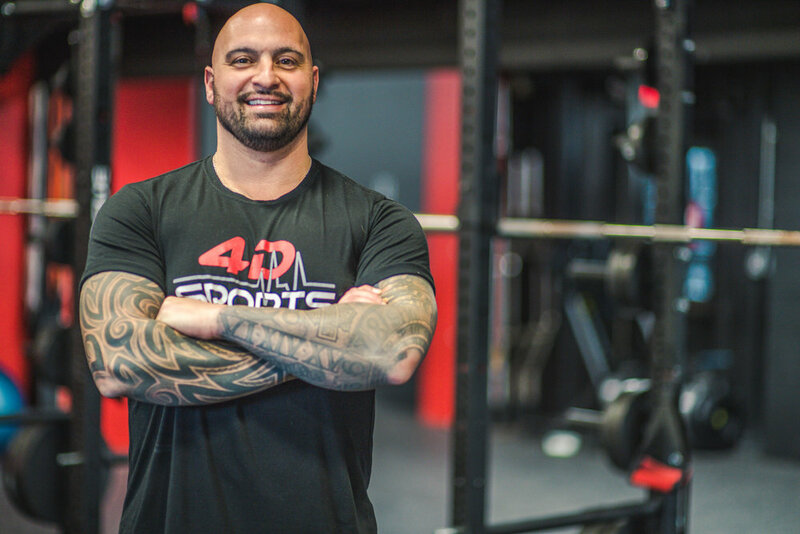 Jack brings a wide variety of knowledge and experience to 4D Sports and is dedicated to building strong multi -sport programs and training methods. Joe Anselmi is a recent 3-year graduate of Manhattanville College in Purchase, New York. Prior to attending Manhattanville, Anselmi played 3 years of varsity baseball for the North Rockland Red Raiders. While at Manhattanville, Joe exhibited his versatility on the baseball diamond. His ability to play multiple positions made him a key contributor for the Valiants, even as a freshman. The right-handed hitter also asserted himself as a reliable presence in the middle of the lineup during his tenure. This past summer, Anselmi travelled to Syracuse, New York to play for the Syracuse Salt Cats of the New York Collegiate Baseball League. The 21-year-old said going away for the summer presented many great opportunities to learn and get better; something he hopes to continue to do as he works toward his ultimate goal of becoming a professional baseball player. Cassidy was a multi-sport athlete in high school, including 4 years of varsity softball. She is a graduate of Michigan State University where she worked for the athletic department in the press boxes as well as alongside university athletes and additionally for the athletic development fund program. Cassidy has a comprehensive understanding of rotational athletes. She has been working with professional, collegiate & youth athletes for multiple years. She is highly knowledgeable in the science that dictates how biomechanics and kinesiology play an essential role in the development of athletes. Implementing the proper injury preventative techniques is a primary focus that she asserts at all times. Cassidy has ample experience planning college showcases and spends time consulting with our athletes in regards to the college recruiting process as a whole. Cassidy is a motivational factor at 4D Sports Performance Center.